One Creative Environments Ltd. (One) is delighted to have been selected as a finalist in the 2018 Worcestershire Architectural Awards in the People’s Choice category. 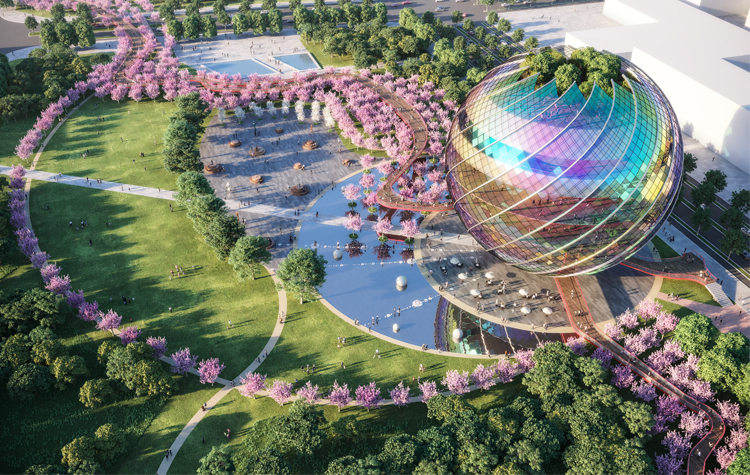 The competition design, The Lotus Pearl Cultural Centre and Concert Hall in China, has been selected from all this year’s entries as one of eight designs that will now go to the public vote. Further information about the project, including the inspiration behind the design, is available here. Voting is open until 5pm on Thursday August 16 and all information is available on the Worcester News website here. To vote for who you would like to win: please email michael.purton@newsquest.co.uk, return the slip which appeared in the newspaper on Tuesday 24 July or post a comment on the story on the Worcester News website. All votes for One’s design will be gratefully received and good luck to all finalists. The awards ceremony will take place at 2pm on 25 August at Worcester’s Guildhall. Further details about the awards are available on the Worcestershire Society of Chartered Architects’ website.